The most important result is that a reduction in energy target in ICU resulted in a predictable but unnoticed reduction of protein delivery. In fact, a reduction in energy target recommendation without changing the feed composition leads to an unplanned and significant reduction in protein delivery. In absence of dieticians this aspect of care was not considered. A reduction in energy target to prevent overfeeding is shown to carry a risk of low protein intake, which may be critical in the acute phase of a disease. The lower energy and protein intakes were clinically relevant as they were associated with prolonged ventilation time and an extended hospital stay. 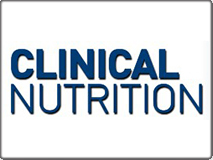 The results confirm the importance of daily monitoring of both energy and protein deliveries in critical care patients. Founded in 1980, COSMED is a privately owned company manufacturing Cardio Pulmonary and Metabolic Diagnostic Equipment. COSMED products include a full range of Spirometers, Pulmonary Function, Body Composition, Nutritional Assessment and Cardio Pulmonary Exercise systems, including Electrocardiographs, Ergometers and Assessment Software. COSMED solutions are aimed for either professional or medical use for many different applications like: Hospital, Clinics, Primary Care, University & Education in Human Physiology, Clinical Nutrition, Commercial Weight Management, Human Performance Centers, Sport Institutions and Health Club Industry. COSMED Headquarters are located in the province of Rome, Italy. COSMED has subsidiaries in the USA, France, China, Benelux and Germany, and distributes its products internationally through a constantly growing distributor network covering more than 70 countries.